STEM means Science, Technology, Engineering and Maths (as we all know, of course! ), and while the S, T, and M are quite self-explanatory, parents often ask what exactly kids do in our engineering programs. It’s a great question! The word engineering is sometimes looked upon as something having an almost mystical importance and impossible for young people to do – but that is not the case at all. The action of working artfully to bring something about. At STEM for Kids our Civil Engineering program takes a scientific look at what makes bridges, skyscrapers and other structures strong, safe, and innovative in their design. 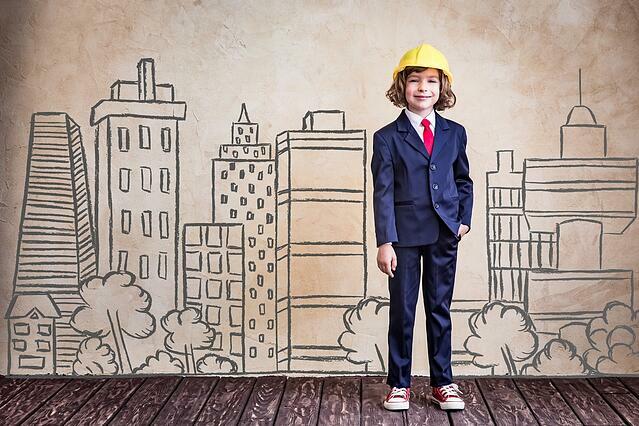 In our sessions, kids learn how to work like an engineer, carefully following a planning and design process. They also learn about forces such as gravity, weight, wind and earthquakes. We do this through real-life examples (being based in Dubai we never have to look far for examples of impressive skyscrapers and other constructions) and through hands-on activities, which the participants can then go home to teach mum and dad! In our Mechanical Engineering program, children learn all about motion and machines, venturing into the world of mechanics. They explore the competition between motion and inertia while making their own contraptions in our purpose-driven projects. Most of the creations that kids invent during STEM for Kids’ programs, they can actually take home with them. Being able to continue to play with them or even show or instruct someone else in how to make it. All of this really rewards, reinforces and consolidates learning in a fun and memorable way. The second definition describes our approach to all the projects in our programs, whether it’s engineering or computer programming, we work artfully to achieve the task. And this is the definition you’ll find in our commitment to, “engineering fun in science, technology, and maths”. To find out more, contact us by filling the form on this page.